Modern day streetcar systems are popping up in places such as Dallas, Portland and Kansas City with hopes of sparking economic revival. Milwaukee leaders desire similar results here as they prepare to debut a system in 2018. But, not every project has lived up to its hype. It took years longer than projected for the streetcar system in Washington D.C. to finally begin operating. Martin Austermuhle says problems started back in 2007, when the district first began construction. “They laid down the tracks but there wasn’t much planning done as to what would come after the tracks,” Austermuhle says. He's been covering the streetcar saga for WAMU, a public radio station based in D.C.
Austermuhle says poor planning caused numerous delays. 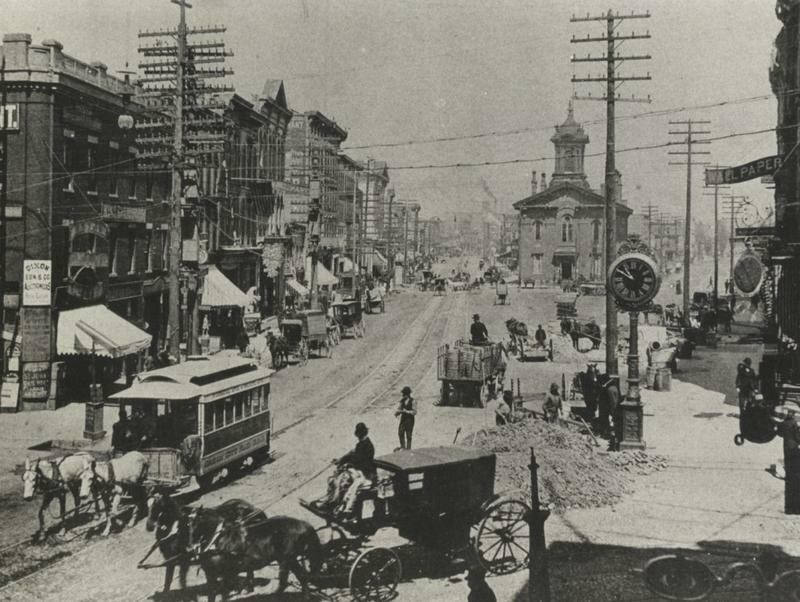 Once the trolleys were built, test runs resulted in accidents between the streetcars and other vehicles. District leaders who became increasingly impatient, included then-Alderman Tommy Wells. “I am frustrated that this has been so cumbersome. Other cities are able to build streetcars and light rail at a much faster rate,” he said. The D.C. streetcar eventually debuted in February of this year, and things reportedly, are going smoothly. However, there have been problems in another location. The Atlanta streetcar went online in late 2014 to much fanfare, according to Kate Sweeney. But, issues developed quickly. “An internal audit found safety and management flaws," she says. 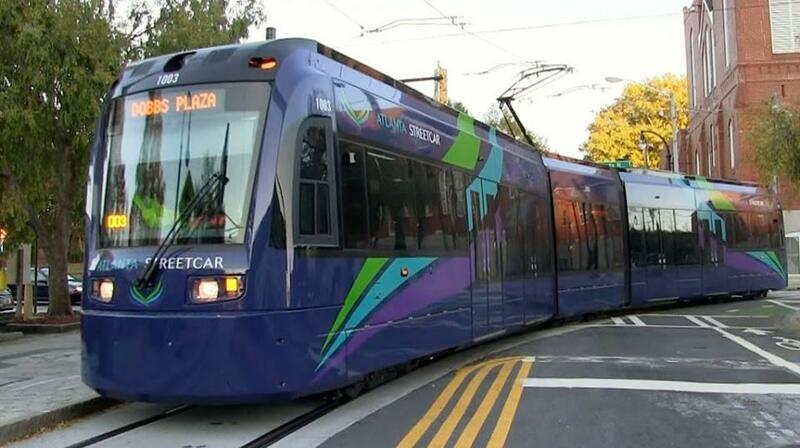 Sweeney has been reporting on the streetcar’s woes for WABE, Atlanta’s NPR station. “There were problems with the licensing of drivers and problems with the electrical system which led to suspensions and slowdowns in service in the first year and all of this prompted a letter expressing concern from the Federal Transportation Administration in September that basically said, hey Atlanta Streetcar, please get your act together,” she says. City leaders worked to correct the troubles, but now new ones have surfaced, according to a local TV report. For the first year, riding the new streetcar was free. But after people had to pay, ridership plunged 48 percent. Here in Milwaukee, City Engineer Jeff Polenske believes the problems that Atlanta and D.C. experienced are not the norm. For instance, he says the initial Dallas route didn’t pass by any businesses. “They built over a bridge that doesn’t have much connectivity at all and their ridership is very low, but they knew that going in,” Polenske says. Polenske insists Milwaukee has the recipe for success: build the streetcar in heavily populated areas that have seen a boom in housing and business development. He says Milwaukee will also conduct dry runs before pressing the cars into service. 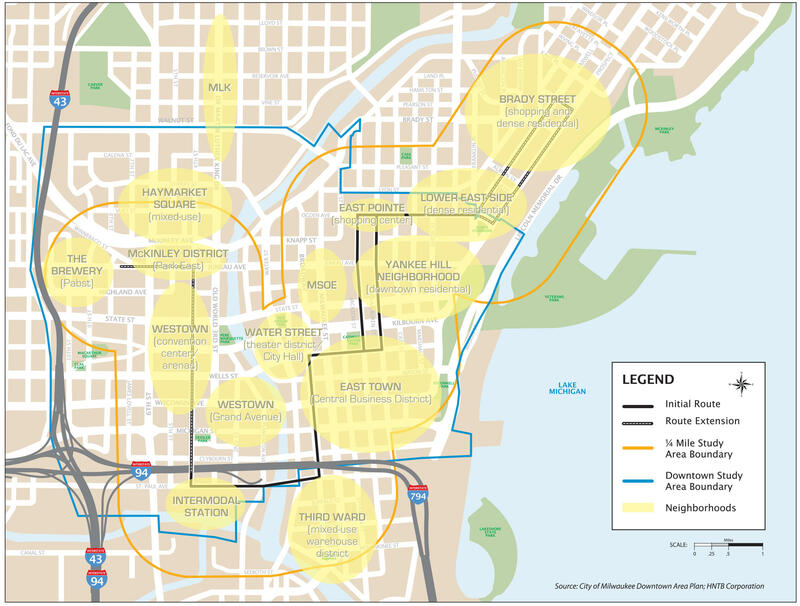 Study of streetcar area and neighborhoods. “You’re likely to have some fender benders. It’s a moving vehicle on the street, in operation around other moving vehicles. Our goal is to train our operators at a high level,” Polenske says. Polenske says Milwaukee has based its streetcar model on flourishing endeavors in Portland and Kansas City. One city leader who has traveled to see new systems in operation is Common Council President, Ald. Ashanti Hamilton. “I did see the problems with D.C. and some of the technical issues that they were having, and it was explained to me by our engineers that we’re making sure that those types of things won’t happen here,” he says. While Hamilton supports Milwaukee’s streetcar, he says it’s important to ask questions. On Friday, we’ll feature the issues stakeholders are raising. 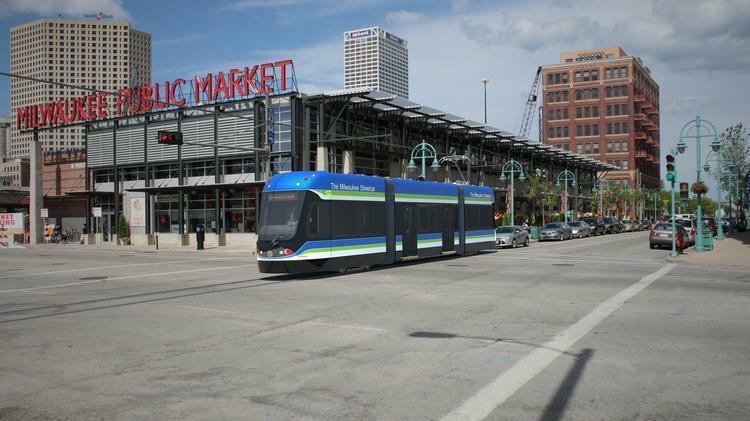 Like it or not, the Milwaukee Streetcar is becoming a reality. Groundbreaking is essentially underway, as We Energies is moving utility lines along the two mile route through downtown. Service is slated to begin in 2018. But, arguments continue surfacing. Perhaps the person who feels most passionately about the Milwaukee Streetcar is Mayor Tom Barrett. The project has been on his radar since he first took office in 2004. If you’ve been driving downtown lately, you may have noticed streets ripped up around the Milwaukee Public Market. 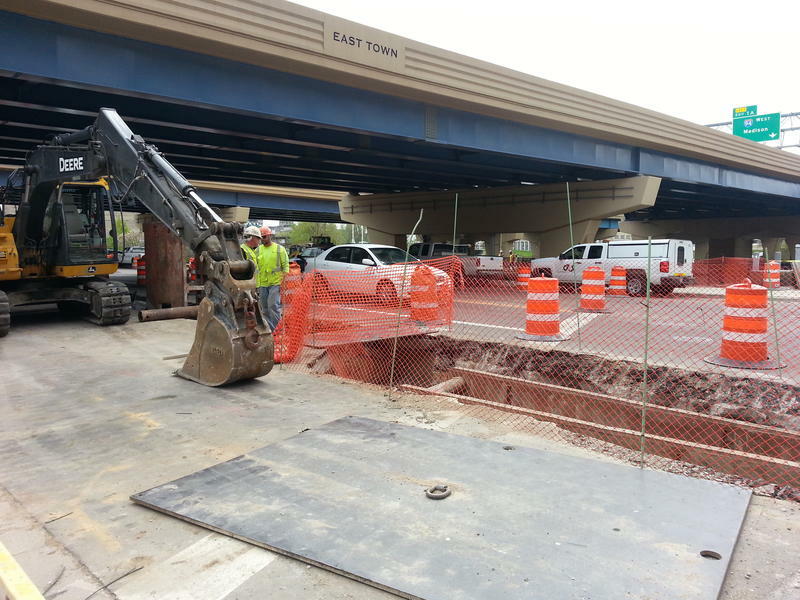 We Energies is moving utility lines to make way for the Milwaukee Streetcar. The first leg will connect the Third Ward, the Intermodal Station and the east side. Service is slated to begin in 2018. A few blocks away, inside the Zeidler Municipal Building, City Engineer Jeff Polenske is pouring over designs. He says the city intends to build a modern, state-of-the-art streetcar system. 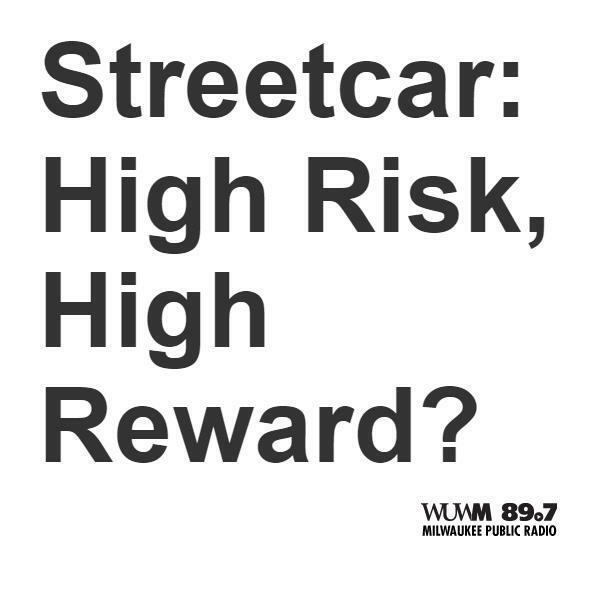 As Milwaukee inches closer to building a modern day streetcar system, WUWM kicks off a series, called Streetcar: High Risk, High Reward? First, WUWM's Marti Mikkelson revisits Milwaukee's old system. Streetcars are rumbling back to life in cities across the country from Portland to Salt Lake City and Atlanta, with New York becoming the latest city to hop on the bandwagon. But as these new streetcars run into unexpected roadblocks, critics say this mode of transportation might not be the answer to great public transit. 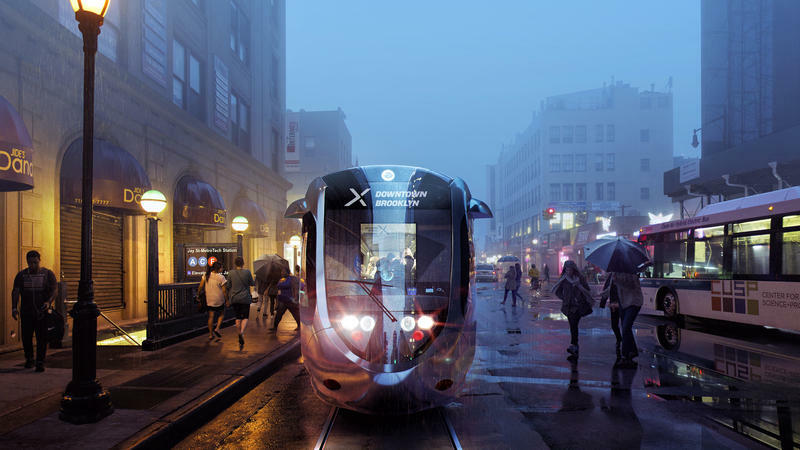 New York City has an ambitious, multibillion-dollar plan to connect Brooklyn and Queens with a streetcar. It would bring convenience to residents from Red Hook, an isolated area cut off from the rest of Brooklyn by water and a major highway.